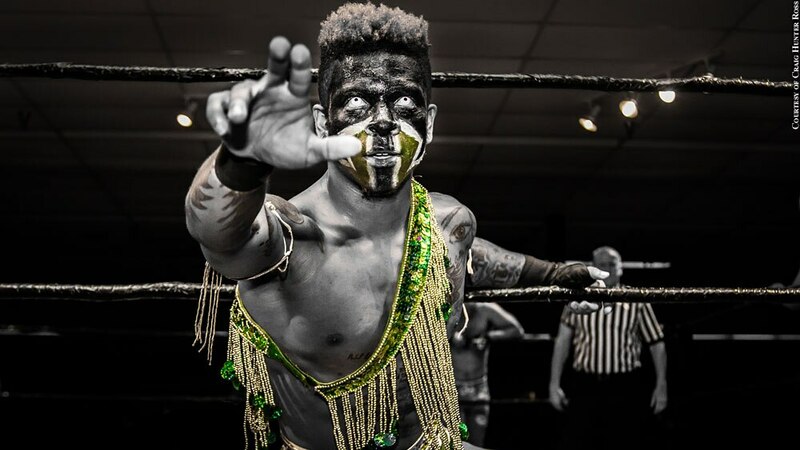 When Lio Rush began as a student at the MCW Pro Wrestling Training Center in Joppa, Md., in the summer of 2014, professional wrestler and head trainer R.J. Meyer immediately knew the young man was destined for big things. "I knew he wasn't going to be [a trainee] for long," said Meyer, who wrestles as Bruiser in MCW Pro Wrestling. "When somebody wants it and has the 'it' factor, you can see it in their eyes. You could tell that nothing was going to stop him. Nobody's going to tell him no or tell him he's too small." Rush's first impression of Meyer was less flattering. "I was like, 'Man, who is this guy? He's kind of a [jerk],'" Rush recalled. Rush, however, quickly grew to respect Meyer, whose assessment of Rush proved to be prescient. The Lanham, Md., native graduated from the wrestling school after just four months of training and rapidly became a top star on the independent wrestling circuit. On Aug. 12 at the MCW Arena in Joppa Market Place, Rush will wrestle his final match in MCW before reportedly starting with WWE, and his handpicked opponent for his MCW farewell is Meyer. Rush and Meyer teamed together in a couple six-man tag team matches in 2015, but this is the first -- and presumably last -- time they will be opponents. "I've been wanting to wrestle R.J. for a while, but it just wasn't the right situation for me to do so. I felt like this time was perfect," Rush said. "He's the reason why I am the wrestler that I am today, with the intensity I have, the skill level I have, and that veteran instinct and mindset of things to do and what not to do inside and outside the ring." Meyer called it "a humbling honor" that Rush chose him for his last match. "It's probably the greatest gift you can give your coach -- to let him be your last indy match before you walk away to the big time," Meyer said. Rush, 22, and Meyer, 41, have developed a close bond that goes beyond student and teacher. But that's not to say there haven't been tense moments between the two. "I'm not going to say we didn't get along, but we definitely had our differences early on," Rush said. 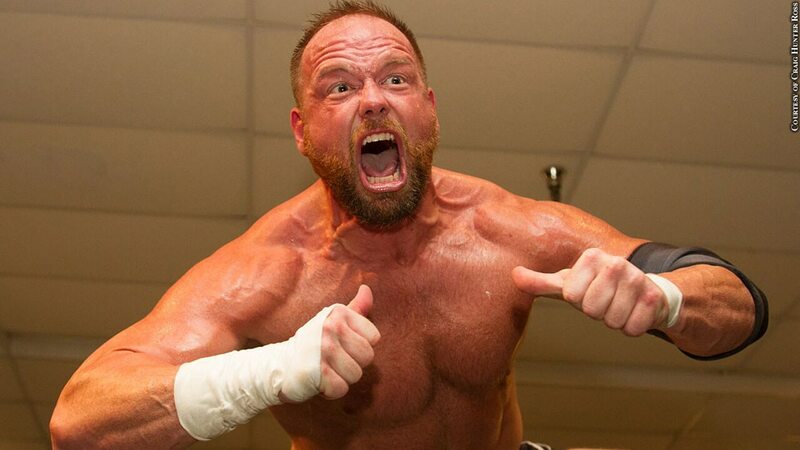 "There was a time at an MCW show in Waldorf [Md.,] where something happened in my match and R.J. started saying, 'You should've done this, you should've done that.' Everybody crowded around me and it was a heated moment and I just flipped out. I ended up cursing R.J. out and we didn't talk for a couple weeks, but everything got cleared up shortly after. "Later on, I had some family issues going on and R.J. was one of the first people that I went to about it, so we definitely got closer as time went on." Despite occasionally butting heads, Meyer couldn't help but be impressed with Rush's passion and determination to succeed. "You couldn't stop the kid from asking questions. It almost got to a point where it was annoying," Meyer said with a laugh. "I'd get these weird text messages from him at midnight: 'Hey, if I'm doing this in the ring' or 'if this happens …'"
While Rush and Meyer couldn't be more different as far as physical stature and in-ring style -- the 5-foot-6 (at least that's his billed height), 160-pound Rush is an incredibly agile high-flyer, whereas the 6-foot-4, 250-pound Meyer lives up to his Bruiser moniker -- both of them were wrestling prodigies. Rush was one of the first two graduates of MCW's wrestling school after it reopened in 2014 -- the other was Patrick Clark, who wrestles as Velveteen Dream in NXT and had his final independent wrestling match against Meyer in December 2015. When MCW's original school, Bone Breakers, opened in 1997, Meyer was its first graduate. Meyer, who was an accomplished wrestler at Loch Raven High School in Baltimore County, progressed at an accelerated rate at Bone Breakers, and just a few years into his training, he was helping to train others. Unlike Rush, however, Meyer never got a shot at the big time, as Meyer's admitted self-destructive behavior prevented him from reaching his potential. "I made some mistakes, and I had some personal demons that I've overcome," Meyer said. "I'd rather have done other things than focus on wrestling in the early 2000s, so that cost me a chance of making it, but I don't regret any of it. All that stuff that I did in my life has made me who I am right now. "It wasn't my calling to make it to the big time and be standing up there on [WWE's] 'Monday Night Raw.' My calling was to help others live their dreams and get to the next level. I'm OK with that." Rush said the best advice Meyer has given him is to "keep my head on straight, believe in God, trust in people that care about me and just stay focused on the main goal -- and that was becoming a superstar in wrestling." Said Meyer: "I'm just grateful that I got to be a part of his journey. I'm glad that the knowledge I have and the advice I gave him was a little piece of the puzzle to help him get to where he wants to get to." Rush and Meyer both said it's going to be an emotional experience when they face off in the ring Aug. 12, but Meyer -- or Bruiser, rather -- had some ominous words for his former student. "Lio better pack a lunch," he said. "He's not going to bring anything new to the table that I haven't seen before. He can flip around and use all the speed he wants, but at some point I'm going to get my hands on him, and I'm a pretty strong guy. "Once I get my hands on Lio, well, hopefully he makes it through [Aug. 12] and gets to move on to WWE."